As we will soon enter another 48 hours without voting, please remember these 10 tips to surviving Lent Madness Withdrawal. We know it’s not easy and that LMW is real. But it all returns on Monday morning as Vida Dutton Scudder takes on F.D. Maurice. The first round concludes next Wednesday then it’s on to the Saintly Sixteen starting Thursday. Hang on to your Lenten-themed-purple-bramble-infused hats! Dietrich Bonhoeffer was born in 1906 and was raised in a home that valued education. He earned a doctorate in theology in 1927 from the University of Berlin at the age of twenty-one. Bonhoeffer also studied at Union Theological Seminary in New York City from 1930 to1931. While in New York, he began attending the Abyssinian Baptist Church in Harlem, where he enjoyed both sound theological doctrine and rich examples of Christian life lived for the sake of the world. As the Nazi party was gaining notoriety and power in Germany, many of Bonhoeffer’s friends urged him to stay in the United States rather than return to Germany, but he opted to go home. Upon his return to Germany, Bonhoeffer accepted a position as lecturer in systematic theology at the University of Berlin. He also began teaching confirmation classes for adolescent males in a Berlin slum. When Adolf Hitler came to power in 1933, Bonhoeffer became a leading spokesman for the center of Protestant resistance to the Nazis, the Confessing Church. He spoke out not just about Hitler’s dictatorship but also against his program of genocide and the Jewish Holocaust. Bonhoeffer helped organize the underground seminary of the Confessing Church. In 1939, Bonhoeffer’s brother-in-law introduced him to a group planning to overthrow Hitler. Because of this affiliation, in April, 1943, just after becoming engaged to be married, Bonhoeffer was arrested and taken to prison. Later he was moved to a concentration camp at Flossenbürg. On April 9, 1945, just days before the American army would liberate Flossenbürg, Dietrich Bonhoeffer was hanged at the age of thirty-nine. Pastor, theologian, poet, and courageous truth-teller: Bonhoeffer’s passion for living his faith fueled his political stance and cost him his life. Through his prolific writings, he continues to serve as a prophetic and inspiring voice for the Church. Gracious God, in every age you have sent men and women who have given their lives in witness to your love and truth. Inspire us with the memory of Dietrich Bonhoeffer, whose faithfulness led to the way of the cross, and give us courage to bear full witness with our lives to your Son’s victory over sin and death, for he lives and reigns with you and the Holy Spirit, one God, now and forever. Amen. Athanasius attended the Council of Nicaea in 325 as the secretary to his bishop, Alexander. One of Alexander’s priests, Arius, had begun spreading doctrinal views different from his bishop. After debate, the council promulgated a creed, which proclaimed that Jesus was coeternal with God the Father and begotten, not made, from the same substance. Shortly after the close of the council, Alexander died, and Athanasius was chosen as Bishop of Alexandria, despite the opposition of heretical factions in Alexandria. Athanasius faced the brunt of the reprisals from the factions that had opposed his defense of Nicene Christianity, and he was deposed as bishop and exiled five times during his seventeen-year episcopate. During his exile he went as far afield as Trier in present-day Germany, to Rome, out into the Egyptian desert, and to his father’s tomb. He ran afoul of four Roman emperors in his defense of Christian orthodoxy. For his persistent witness and stubbornness in defense of orthodoxy, Athanasius acquired the moniker Athanasius Contra Mundum–Athanasius against the world. In his most famous work, De Incarnatione, Athanasius argues how God the Word, by the incarnation, inspires, restores, and perfects the image of humanity out of a desire that all people should be in union with God the Father. What may seem to many like a mere point of doctrine was, for Athanasius, at the core of the gospel itself: that God desires the reconciliation of all humanity unto himself, and that reconciliation is made possible through the incarnation, in the person of Jesus Christ. For his passionate defense of Christian orthodoxy, and the life-giving nature of his writings and proclamation of the gospel, Athanasius is remembered around the Christian world. Uphold your Church, O God of truth, as you upheld your servant Athanasius, to maintain and proclaim boldly the catholic faith against all opposition, trusting solely in the grace of your eternal Word, who took upon himself our humanity that we might share his divinity; who lives and reigns with you and the Holy Spirit, one God, now and forever. Amen. 207 Comments to "Dietrich Bonhoeffer vs. Athanasius"
Ain’t I a decent human being? Bonhoeffer it is for me, for the Golden Halo. He combines theology, pastoral activism, and martyrdom. He is the highest version of a witness for our modern times. I am sympathetic to the arguments being made in this group that we are slighting or overlooking the ancient saints for contemporary versions of spirituality. But that’s where we live. We can’t imagine being eaten by lions, but we can imagine tanks and machine guns. And we too know starvation, of the body and of the spirit. As a radical Protestant, Bonhoeffer channels Paul. His life and writings make vivid the utter nakedness of the soul before God. This is caritas so blended with faith and hope that it would not be possible to separate mysticism and good works. Bonhoeffer for me is the supreme exemplar of a life that merges into the light and still illuminates our paths. Go Dietrich. I so agree with you and will vote for him in future rounds but for today I am voting for a church father who clarified and upheld the Trinity in both his writing and his actions. Like air unless we have trouble breathing, we can easily lose sight of how crucial is the doctrine of the Trinity to the actions we take in Christ’s name. The hardest choice is between two things perceived as good. Athanasius’ credibility wins this day for me. I agree. Tough choice because they are both so good. Athanasius’s defense of the doctrine of the trinity was so important – and still is, and he did through exile and tremendous political pressure. Bonhoeffer will get my vote in later rounds, but today it goes to Athanasius. “for Athanasius, at the core of the gospel itself: that God desires the reconciliation of all humanity unto himself, and that reconciliation is made possible through the incarnation, in the person of Jesus Christ.” That is what my faith is all about. Not just for what he did, but for teaching me about The Abyssinian church and some of my history. Well said, looking to future years to coordinate the caste of the blessed. I voted for Dietrich because of what he did in ww2. I’m with you in this one. Although Bonhoeffer made a huge contribution to the faith under very difficult circumstances, I believe that what Athanasius contributed was much more impacting on a much larger part of the family of faith, and so I join in your vote. Those were my thoughts exactly as I struggled this morning with my discision. I had a similar conundrum yesterday. I too had to vote for Athanasius. He was there to help establish the foundation beliefs of the church. Bonhoffer gave his life for his church and fought an evil that we are still fighting today. as stated we know tanks and machineguns, but it was those that defied the “lions” who made the church what it is today. I agree. The Trinity is central to all of our worship, and would have been a part of Dietrich’s repertoire. That he was willing to disagree with the Nazi regime when this was a sure death sentence (unless the war ended in the meantime), especially after having found a fiancée, and risk his future on the message of the gospel was beyond courageous. Wouldn’t it have been wonderful to have him revisit and teach in this country with the insight he had gained in a society where hatred instead of love was being preached. This is one reason, among many others — his lack of empathy, shooting his mouth off from the hip (excuse the anatomical analogies), and his constant jabbering about his greatness, interfering the delivery of any rational kind of message that might be heard over the din — that his popularity frightens me and reminds me of the Nazi era. To be frank, while it was immoral and obscene, Hitler had a well thought-out plan and an audience of mostly sheep who recalled the days when they’d have to travel with a wheelbarrow of currency to purchase the little food there was. The disgruntled audience here has been traumatized by the financial disasters of the early part of this millennium. Has Trump proposed a kind of WPA to build the wall separating the US from Mexico? No — it increases his popularity to throw the responsibility over to Mexico, who will have to laugh the suggestion off. Revelations speaks of an Anti-Christ. I am not qualified to judge, but the apparently total lack of compassion exhibited makes one wish there were more Bonhoeffers in the world. He’ll get my vote next round, unless there’s a surprise upset. A happy and holy Lent to all. I should have specified early on that I was talking about Trump. Didn’t get to it till the second paragraph. I regret the error. I have such a hard time relating to the early saints because I do not have any concept of the life and cultures they lived in. Dietrich lived in history I can relate to, terrible as it was. He lived at a most evil time and died for the truth of the Gospel. Why would Trump even enter into this conversation? Natalie, while I am intensely interested in politics but decidedly not a fan of Trump, I share Lynn’s sense that Trump is not relevant to the discussion of Bonhoeffer vs. Athanasius. I wanted to vote for Bonhoeffer because his courage in proclaiming the faith in the face of Nazism (and despite the presence of a tame “church”in Germany that went along with Hitler), I will have to vote for Athanasius because of the centrality of the doctrine of the Trinity to our Christian faith. I need an editor! I meant to say that Bonhoeffer’s courage . . . has been an inspiration to me but that I am voting for Athanasius for the reason stated above. Also, I suspect that Bonhoeffer, if he didn’t dismiss Lent Madness as too Catholic or too frivolous, might have voted for Athanasius himself. That book which you refer to as Revelations does not have an “s” on the end of it. I think our struggles and dare I say hopes regarding politics just as with family, working or our congregations all fit into Lenten Madness thinking! I know that is why I tune in everyday and hold the examples and comments in my heart throughout the day. Thanks Natalie. Totally agree with your logic. And Athanasius had to persevere over and over and over from both church and non-church alike. He gets my vote. Today. Excellent assessment. The ‘cheap Grace’ analysis was striking and won my vote. Maybe I missed something but it seems not every ‘SAINT’is a saint in classic Church definition. Candidates for the Golden Halo are those considered to be saints in traditions other than the Roman Catholic tradition as well as Catholic. We really need “like” buttons in addition to “reply” buttons. Maria Jackson, I agree re the “cheap grace” argument. The”cheap grace” piece got my vote. I was going for Athanasius because the creed is so essential and I’m certain Bonhoeffer has this round…but that was so powerful I had to vote for this unquestionably modern day saint. I agree “Go Bonhofer!” He is an exemplar of how a believer should live their life! So very thoughtfully and beautifully stated! Thank you! Beautifully stated. If I had not already voted for Bonhoeffer, you would have convinced me. As crucial as Athanasius was to Christian theology, I find Bonhoeffer’s writings so relevant to my efforts to lead a Christian life in the 21st century that the vote was easy for me. I am with you — all the way for Bonhoeffer. Bonhoeffer lives what he believes in action as well as prayer. He is THE one for me! Bonhoeffer might be Athanasius reincarnated and updated, continuing the same battle in a different time zone of the universe or in a parallel universe….. Since I read Eric Metaxas’s biography of Bonhoeffer, I have been an avid devotee of this great man. Bonhoeffer it is for me! I voted for Athanasius because he wrote “I believe in one Father”. I’m with you today Oliver. Oliver, I had to find you to see how you voted and your always-lovely reasoning. I voted for Athanasius, too, but mostly because he taught that in Jesus’ life we find humanity perfectly restored to what God always intended and hopes for us. Bonhoeffer will win, I think, and that’s okay–it was a hard choice! Dietrich all the way (hopefully, to the Golden Halo, which he so richly deserves!). I second that emotion. I remember learning Bonhoeffer’s story as a kid in church some 40-plus years ago, and I have always considered him to be one of the true saints of our age. It’s Bonhoeffer all the way for me. Oliver I’m voting for Athanasius as well because I remember being “the Church” in a production of Dorothy L. Sayers “The Emperor Constantine” all about the Council of Nicea and saying part of the creed at the end. But it’s a hard one as I’m a fan of Bonhoeffer as well. Oliver that is a very good reason to choose Athanasius. I voted for Dietrich Bonhoeffer because he died for his faith. Both men suffered for their beliefs. I enjoy reading your posts. Watched the debate last night. We are in need of Bonhoeffer now. And now. And now. I am with you Amy Jane! Christe eleison. Yes we are. I suppose I voted for him for the same reason, although I love Athanasius as well. Bonhoeffer actively put himself in harms way to do good won my vote; but Athanasius’ travels are impressive. Difficult choice. . . . Dietrich Bonhoeffer is of our time, of my lifetime. I can now, as an adult, so identify with walking into danger. But Athanasius helped write the Nicene Creed, which we repeat every Sunday, keeping centuries of Christians on track. I must go with Athanasius today. Danielle, you expressed my sentiments exactly. Had to vote for Athanasius today. I agree this is a very difficult choice. Bonhoeffer’s unshakable courage, dedication and sacrifice would easily gain my vote except that I cannot say I was a Christian until after I had read, digested, and began to understand the Creed of Saint Athanasius (pg 864 BCP). I’d not been raised in a Christian home and came late to the Church. 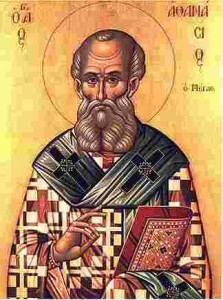 and years ago I took St. Athanasius as my patron saint. Thus, today he gets my vote. I hate to see Athanasius get so thoroughly trounced, but I just returned from a sabbatical in which I explored the ministry of Bonhoeffer. A obvious choice for me. Really not fair putting these two against each other. Both represent the absolute best in theology and putting their feet where their faith is. I’m sure glad this isn’t binding! I’d hate to have to explain why either one got bumped from God’s right hand at the table because of my vote when we get there! I believe that spot at the table has been taken. Would we have had this theology it we hadn’t had Athanasius? I am admittedly biased because of the tiny print of the Athanasius Creed in my BCP. This year’s contest is an exercise in hard choices! One problem with this set of ancient-vs.-modern pairings is that we have so assimilated the contributions of the ancient saints that we do not appreciate their importance. Another is that so much of what goes with the ancients is foreign to us, whereas we understand and sympathize with the nuances and weaknesses associated with those closer to us in time and culture. Bonhoeffer is a mighty hero, but Athanasius gets my vote for these reasons. Gretchen you expressed my thoughts this morning. This year the choices have been very difficult. Everyone has been excellent. I may have to think and pray on today’s Saint. I used to have more admiration for Athanasius, but am now reading Karen Armstrong’s book “Fields of Blood”, and her picture of Athanasius is not at all positive. His obsession with doctrinal purity led him to encourage execution of those with Arian leanings. So much for living the example of Christ! I find Bonhoeffer’s actions much more in line with what Jesus taught. For me, it is not the “early saints vs the modern saints” contest. It is that Bonhoeffer more thoroughly lived the example of Christ, no matter what his personal ego may or may not have exhibited. In honor of my father, a minister who frequently quoted Dr. Bonhoeffer, I vote for the brave man who took on Hitler. Calling out cheap grace is pretty heady stuff. I agree. Reminds me the current thinking that saying “our thoughts and prayers go out to them” is hollow when said the victims of the violence and death in our midst today enabled by ready availability to guns. Saying it is not enough and I’m grateful to those who call it out and seek solutions. Still a very difficult choice in today’s pairing. Ever since I heard of his part in writing the Barmen Declaration, I have been inspired by Bonhoeffer. His book “Life Together” has had a great influence in my ministry, especially his explanation of mutual confession. So I must vote Bonhoeffer for the Golden Halo! The chronic problem of making a choice for two very worthy followers of Christ is again upon us. We are forced to be judges when it is not a good thing to do. Herr Dr. Bonhoeffer is well known and respected. I would not be surprised that Chancellor Merkel is influenced by Detrick’s words and deeds as she tries to cope with the impossibilities of the flood of refugees into Deutschland. Grace is not to be made cheap. Ok, so this “good” Lutheran (proud, but not too proud) fully embraces the concept of costly grace. While I struggled with Soren vs Sojourner (ended up not casting a vote) Bonhoeffer gets my vote. No Athanasius, no Bonhoeffer. Hard to imagine an example of someone who paid a higher price for his faith than Athanasius, the bridge of faith between St. Paul and St. Augustine, who endured five exiles while taking on the entire organization of the church and the empire, and secured the faith of the church as we know it today. This is incredibly hard today. I thought I knew who I would vote for, until I read Athanasius’ nickname. For the example of standing firm for what you believe to be right, even when it seems like you against the world, and because I was pretty sure he was losing badly anyway, I voted for Athanasius. Knew from the start that I was voting for the underdog, but voted for Athanasius anyway. Both were courageous and worthy of the golden halo. Finally, Bonhoeffer’s day has come! I have so been looking forward to this day. I have been such an admirer of his since seminary–and not as much for his theology books (which were tough going) as for what I learned of his life and for the man I got to know from his collected Letters and Papers from Prison. (Sorry, no italics on my phone!) His friendship with Eberhard Bethge and his longing to be back with his family and loved ones is heart-wrenching in these letters, but his optimism and faith in the face of the danger and deprivation he was in while in prison are amazing. I studied his poetry for a class, and when I became an Episcopalian a few years later, was so very happy to find one of those poems in The Hymnal (“By gracious powers”). I wish I could find a recording of that haunting hymn tune. Anyway, Bonhoeffer and his family were musicians, and he speaks often of music and of playing and singing with his family. Reminded me of my own family. Said time in seminary also brought me to read of Athanasius, and I have to say that I loved Arius for standing up to that rigid fellow! I was Against Athanasius then, and I’m against him still –Bonhoeffer it is! At first glance, I thought it would be a no-brainer for me to vote for Bonhoeffer, but as I read more about Athanasius and his defense of the Trinity and his writings on the reconciliation of humanity with God through Christ, I felt intellectually compelled to vote for him. And he stood against so many forces all trying to sway him from his path of the defense of God. In a world, were I feel myself pulled away from God frequently, I had to vote for him. I guess your vote depends on who you would rather punch in the nose – Hitler or Arius. Well said! Was Arius about to attempt to exterminate an entire people? As the Rabbi said, if it is of God, etc. Haha! Well said. Right now Id like to punch all of the current offerings for president in the nose-both sides of the aisle. Makes me wish either of todays saintly examples were available for office. If we had not had Athanasius to protect the theology of the Trinity, the false doctrine of the Arians might have spread further than it did. How can I vote against someone who fought so hard to maintain the true faith? Bonhoeffer was the easy choice for me. When I look at what constituted heresy so early in the history of our faith, and see that people of great faith firmly believed all sides, I wonder why people don’t remember that what we believe IS Faith, not Absolute Knowledge. I believe that Truth says that all these beliefs that are centered on love and the core teachings of Christ have a place at the table of Christ. Splitting hairs divides us. The tendency to label what in the long run is a minor quibble ‘heresy” leads to more war and violence. Athanasius was a godly man, but Bonhoeffer gets my vote. YES!! Thank you, Susan! God is so much bigger than theological arguments. Well said, Susan C.!! “Splitting hairs divides us” is an excellent summary of the squabbles over dogma and doctrine that seem to overlook what Jesus actually taught. Unfortunately, if the squabbles had only resulted in long verbal and written debates, the Church might be the better for them; the fact that those on the “losing side” of the vote were often executed is a troublesome issue. It takes saintly vision to contend with people with power, who are sincere in faith but wrong. Once Bonhoffer joined a rebellion, his decisions were made for him. At any of the five exiles, Athanasius could have just dropped back to writing theses and stayed safe. Contending with powers and ideas that are clearly evil is easier than contending with positions that have basis in scripture, witness, inspiration and reason. WHAT? Don’t get me wrong, I like Albert Schweitzer, but he wasn’t roasted on a gridiron. Bonhoeffer, but not without a very hard look at Athanasius. I wish they could both move forward! Amen to the “very hard look” – and that has stretched my mind a bit! So this prpbaby was a very good pairing. And both Athanasius have their ultimate Golden Halos and are beyond triuph or hurt feelings. I analyzed, considered, and went with my gut: Bnhoffer. My mother grew up in Saint Athanasius Parish in Philadelphia. It took me a very long time to learn how to say that word instead of copping out with Saint A’s like most people did. When I saw the match up, I knew it was St. A until I read the biographies. I LOVE Lent Madness! I love learning about two holy people each day. I say the Collect out loud. There are so many match ups that are difficult. Today is one of them. So….St. Athanasius still gets my vote, in memory of my mother who has been gone for seven years. My heart is a Trinitarian heart so I love that too. He is an underdog So I can vote for Bonhoeffer next round. I voted for Bonhoeffer because he tried to do something to resist the Nazi & stood up against Hitler. The Creed of St. Athanasius can be found in the BCP, and while its much too long to recite every Sunday, its interesting to know why it was written. In week 22 of EfM currently — part of the common reading being the essential character of the two Dogmas of Triune Deity and the fully human, fully divine Word of the incarnation. I’ll vote for Athanasius, especially having learned that the Creed given his name is a pseudopigrapha composed in Latin, in Western Europe a few centuries later. I could not vote for whoever wrote those anathemas in that Creed. Bonhoeffer will just have to wait. (or, since I’ve been adept at voting against the grain — Athanasius will). This has been the hardest one yet. I finally had to go with Athanasius – when I was studying for ordination exams, I wrote the creed of St. Athanasius over and over by hand….both are heroes for me. Figuring I have future opportunities to vote for Bonhoffer, I supported Athanasius today because he suffered greatly for defending the Christian orthodoxy we can thankfully take for granted today. Would I stand my ground against all he encountered? I muse in wonder if its a hidden or purposeful pun that both Saints go up against Aryanism/Arianism today. That being said, I had to go with Athanasius, without him there probably wouldn’t be saints because it was through his dedication and council that Christianity survived through it’s infancy with the views of mercy that resonant to the current day. I had to go with the subtle voice today. Brilliant!! Aryanism and Arianism–I wish I’d thought of that!! Hahaha! Whether the pun was accidental or purposeful, it is impressive. Thank you for pointing that out! Just to clarify on Bonhoeffer, the plan was to “assassinate” Hitler which would “overthrow” him obviously. Bonhoeffer has always been a hero for me but today Athanasius gets my vote for his fidelity to keeping the gospel for future generations. DB is my hero and we read his name at Grace Medford every All Saint’s Sunday! What a whitewash of Athanasius. I wonder how many people died due to his codifying the unimaginable into a rigid framework, resulting an a hypoxic atmosphere that replaces faith with a laundry list of ‘correct’ beliefs. We’ve been suffering ever since. And few have suffered more than Bonhoeffer, whom Athanasius would no doubt have considered a heretic. With these difficult match ups, I remind myself that it’s okay, they’re all saints-they’ll understand. My vote goes for Bonhoeffer because he inspires me to be brave and resilient when the world around me seems to have gone off the rails. I also share an appreciation for African American Gospel. I read “The Cost of Discipleship” in college, not in a course, but because a friend gave it to me and said, “You must read this!” Another gave me “A Diary of a Young Girl,” by Anne Frank and said the same thing. That was in 1952. How protected we Americans were from what had gone on in Nazi Germany. That someone with his courage and his conviction spoke out and took action, risking his life in doing so, still astounds me. I vote for Dietrich and hope he goes all the way to the Golden Halo. I have always been troubled by this notion of cheap grace- grace is and what we do with the reality of it transforms our lives, but it seems to me grace just is. While I love my church, my Bible and my creed … none of which we would have without the sacrifice and tireless efforts of the early saints, I struggle with words like strict adherence to doctrine and orthodoxy … knowing that all too quickly the persecuted used that doctrine to become the persecutors. I feel no such qualms when I look at Mr. Bonhoeffer … only sadness that he died so young and so close to rescue. Alas, poor Athanasuis! Perhaps I should have voted for him, since, Church Nerd that I am, I actually won a round of “Stump the Vestry” one evening, because I had actually discovered his creed, tucked away in the back corners of the BCP! But my fondness for Dietrich Bonhoeffer is too deep and long held, and so I voted for him. This was an easy choice, in that Athanasius is the only Episcopalian in the pair. To fight for truth… against the populist thinking of the day… wins the day for me. In an age full of shallow populist thinking, and little depth, the courage of an Athanasius sounds a distant, but important, bell. I intended to vote for Athanasius, but ended up casting my vote for Bonhoeffer instead. In the light of today’s political atmosphere, I thought he might be good inspiration to reflect upon. I do love me some early church fathers though! Tough one for me today. Lenten Madness is not fair. Bonhoeffer is the man for today. So many good, well thought out statements here. I will go with Bonhoefferfor all the reasons stated above. The plight of all those sent to die in Nazi concentration camps has always taken my breath away. It has challenged me to live out my beliefs, though how I really would have acted if faced with the horrible prospect of Nazi concentration torture, I cannot say. Bonhoeffer showed such calm assurance in his faith during those times, that I am just overwhelmed. Bonhoeffer for the Golden Halo! Bonhoeffer, and anyone who stands up to the oppressors of their times, is my kind of Saint. Bonhoeffer could have safely remained in the US but chose to return to his homeland to do what he could to fight the coming horrors. Rather like Jesus in the garden wanting to have the cup taken away but going on to meet his destiny. That’s what Dietrich did too. May we all have that kind of courage! When I was in high school and newly serious about Christian faith, someone handed me Bonhoeffer’s “Cost of Discipleship.” Over 40 years later, I still have that heavily underlined copy full of marginal notes. But what has stayed with me even more are his explorations into new ways of imagining and living Christian faith in “Letters and Papers from Prison.” There is the searing honesty of his poem, “Who am I?” http://www.patheos.com/blogs/anxiousbench/2014/09/bonhoeffers-who-am-i/; his imagining of a “this-worldly Christianity” that would engage the realities of life fully as the place where Christ is to be found, and, for me, above all, the insight that “God is the Beyond in the midst of life.” If Athanasius helped establish and preserve the doctrine of the Incarnation, Bonhoeffer re-framed it for the 20th and 21st centuries. Great write up, David. This was another match up that I hated, but went for Athanasius. The struggle against heresy should be so strong today. And yes, he must have been an Episcopalian – so many words. Do you mean “Incarnation” rather than “reincarnation”? Thank you for voting Sarah. Without Athanasius we’d be confounding the Persons and/or dividing the Substance all over the place. In fact, both heresies are alive and kicking. Understanding “cheap grace” and striving to live according to it’s clear-cut meaning enables me to “try harder” when I recite the Nicene Creed during Holy Communion and the Baptismal Covenant. Bonhoeffer refined this when he visited and then served at Harlem’s Abyssinian Baptist Church and then made the choice to return to Germany during the rise of Hitler’s regime…he could have remained in America. When the guards came to lead him to the scaffold to be hanged, Bonhoeffer’s last words were: “This is the end for me…the beginning of life.” Blog on ! Tough call for me today but had to go with Bonhoeffer. I admire his courage and strength in his beliefs in the face of the Beast. I vote for Dietrich B because his writings inspired me. I have never read Athanasius’ writings. I votes for Bonhoeffer because like Jesus he gave his life for the gospel and the life of God’s people. Tough choice today. But Bonhoeffer’s joining a group to “overthrow” Hitler was in fact to assassinate him, not something that I would agree with. I’ve read much of his writings and do appreciate them, though. However, Athanasius wins the day for me. His support of trinitarian orthodoxy was critical for his time and for the future of the church. And his “Life of St. Antony” is one of my favorite spiritual classics. Frustrating that this makes the fourth day that I’ve left a comment and elected to receive new posts by email and nothing happens! Perhaps a change from WordPress is in order? I’ve left many comments that have not elicited responses. I chalked it up to my words not being terrible noteworthy, not a fault of WordPress. That’s not my problem. I don’t care if folks reply to my comments at all. It is that I always tick the box “Notify me of new posts by email” but it is not working. I’d like to receive all comments by email. Something is broken with WordPress. I’ve tried this numerous times over the course of the past ten days. Nothing. I tried this the other day. I received an email (I believe in my junk mail) asking me to confirm this choice. That appears to be what makes it work. Also, the comment emails may show up in your junk mail. Quoting Martin Niemöller, Dietrich Bonhoeffer said, “In Germany they came first for the Communists, and I didn’t speak up because I wasn’t a Communist. Then they came for the Jews, and I didn’t speak up because I wasn’t a Jew. Then they came for the trade unionists, and I didn’t speak up because I wasn’t a trade unionist. Then they came for the Catholics, and I didn’t speak up because I was a Protestant. Then they came for me, and by that time no one was left to speak up.” Just exactly when do we act against someone like Adolf Hitler who was in league with Satan himself! In any case, Bonhoeffer play only a minor role in Die Schwarze Kapelle and was only peripherally involved in the assassination attempt. He was executed anyway, along with dozens of other people! One of my favorite quotes. This my most difficult choice but I have to go with Bonhoeffer who was a blessed example of what that quote stood for. All honor to Bonhoeffer, a modern day saint and martyr if there ever was one. He seems to have been a nicer person than Athanasius, who is reputed to have been a curmudgeon, to say the least. Nevertheless, Athanasius nailed it at Nicaea I, establishing that, regarding the Incarnation, no half measures would do. Historically, no Athanasius, no Dietrich Bonhoeffer. The curmudgeon gets my vote. The committee was truly mean in making this match up. Our Sunday school class just read “On the Incarnation,” so I’ll go with Athanasius. Both of the candidates are wonderful examples of staying faithful to Christ in the most trying of circumstances. Both of them had the world against them. Bohoeffer had a world falling apart against him and Athanasius had the world of heresy against him. In the end I voted for Athanasius as he is an inspiration to continue be a voice in the wilderness of our times where relativity and heresy has gone rampant that we no longer see it for what it is. Bonhoeffer – clearly a hero of the church; right up there with all the early martyrs we commemorate. But Athanasius – a deacon at the time he attended the Council of Nicea and drafted the creed that governs our lives – possibly did more than any other individual to shape the One Holy Catholic Church. Go Athanasius! Especially hard decision today. Both men stood for their faith at great personal cost and both have influenced the way we see the Church and Christian life today. Both have influenced my theology. I’m a little upset that these two were pitted against each other because they are both huge heroes of the faith. In the end, even though Dietrich Bonhoeffer is in fact a personal hero for me, I voted for Athanasius. His contributions to the Nicene Creed that we speak every Sunday in church cannot be denied, and his articulation of the Incarnation has had a lasting legacy in Christian theology and ethics. I’m sure that in 1500 years, Bonhoeffer will have the same legacy, but for now, I have to go with one of the originals. I’ve read to much about Athanasius’ intolerant actions (he was persecuting others when he wasn’t being persecuted himself) to be able to manage a vote for him. I admire Bonhoeffer very much; his difficult struggle with the morality of participating in an assassination plot really moves me. This man truly tried to follow his Master. I read a long and interesting history of the Coptic Church. There was a lot of information on Athanasius, and on other early theologians such as Origen, who was widely respected, but whose beliefs were more aligned with Arianism. In this age of religious tolerance, it’s too bad that we aren’t better acquainted with the theology of people whose ideas were considered non-orthodox by Athanasius. Athanasius’ idea that there is only one way to believe, and that’s the right way, which is my way, is not very appealing. Why not reflect on the idea that Jesus was a divinely inspired human, as Muslims believe? Was it worth a great deal of bloodshed to insist on the concept of the Trinity as a divine milkshake instead of a divine parfait made of different substances? Bonhofer, on the other hand, is a great example of courage in the face of evil. I like that “divine milkshake” line. I had a friend who once compared the Holy Trinity to 3-in-1 motor oil. This is my first year playing Lent Madness, and I’m really enjoying it. I’ve learned a lot about awesome people of whose accomplishments I knew little or nothing. But it seems to me that the pattern in the early match-ups is stacking the deck. You often pit a modern activist against an old mystic or theologian. The activist almost always wins. No surprise. I think that more balanced candidates would make the early rounds more exciting. Now pitting Cyril against Methodius–*that” was cool. That said, I voted today for Athanasius. Because he was championed the Incarnation, and because I already know that Bonhoeffer is going to win. I have to vote for the person I admire most — Dietrich Bonhoeffer. I’m sorry, guys, you can excommunicate me if you like, but I just can’t get all that excited about arguments over the faith and councils to clarify it and all that. I’m pretty heterodox myself (you couldn’t have guessed, could you? ), and one man’s heresy is another man’s heterodoxy. Dietrich, on the other hand, died in the trenches, figuratively–put his life on the line for his faith, and lost it (his life, not his faith). Plus, there’s that wonderful hymn, “By gracious powers so wonderfully sheltered,” which Pratt Green has adapted from Bonhoeffer (though I’d like to know more about what it was adapted from). Read “Letters and Papers from Prison,” ed. Eberhard Bethge. It’s a poem DB wrote while in prison and sent to his friend Bethge. I love this hymn, too. Nonetheless, through Bonhoeffer’s intentional decisions, risks, and sacrifice, we see “the cost of discipleship,” the cost of being being made in the image of the divine. I remember all too well my early childhood (I was born in 1938) in Virginia during World War II: the newsreels of Hitler’s army on parade, goose-stepping on their way to (supposedly) conquer the world; wondering if we would, indeed, succeed in putting an end to the evils perpetrated by them and by the Japanese war machine; wondering if my uncle and 2 first cousins would make it through the war and come home alive (they did! ); then, after the war, seeing photos in Life Magazine of the concentration camps as they were found by American soldiers. Encountering the writings of Dietrich Bonhoeffer in college; then again in seminary in midlife; ministering to Holocaust survivors as a chaplain at Methodist hospital in Brooklyn; and now, at age 78, pondering “cheap grace” and wondering if I have presented grace in a way that cheapened it or emphasized its availability to all based on Jesus’ assurance to the thief that “today you shall be with me in Paradise” and on Paul’s assertion that “while we were yet sinners,” Jesus gave his life for us. I believe, because I have experienced God’s love, God’s welcome, in spite of my mistakes, errors, sins, and times of unbelief. To me, this is not “cheap” grace, but precious, amazing grace, grace that cost dearly in suffering, grace that is God’s greatest gift which enables us to live in a world that has been abused and destroyed by many humans, loved and enhanced and blessed by others. With due respect to Athanasius, I have to vote for Dietrich Bonhoeffer, a saint of our times. I had exactly the same terrifying images from my parent’s Life magazine and they have stayed with me forever. I was born in 1939 and Bonhoeffer has been a a hero to me for so long. Lucy, your post makes me feel such kinship! We are going through a very toxic period in this country an reflection in this courage and very human man is a fine thing for our Lenten reflections…thanks for your post. Oops sorry for the typos it should read and reflection on this courageous , etc etc. Lucy, those thoughts are beautiful — thank you. I was born at Methodist Hospital in 1942 and so came along just too late to be scarred by those images as a child, but Bonhoeffer was a powerful force in my mature acceptance of Christianity 18 years later. My vote for Athanasius as architect of the faith Bonhoeffer lived in no way deprecates that inspiring life. My granddad was a WWII veteran. Bonhoeffer it is for me. Athanasius is the serious underdog, so here I am! Dietrich Bonhoeffer, unlike all too many church leaders in Germany during the Nazi era who either looked aside or worse, Dietrich acted on his faith and became a member of a resistance movement and was involved in smuggling arms and also joined Die Schwarze Kapelle in the plot to assassinate Hitler. The plot came ever so close to succeeding! But for a fluke occurrence the bomb that was planted at a conference would have blown Adolf Hitler to smithereens! (The conference was held around a heavy oak table. After the bomb was set and placed right next to Hitler, the briefcase it was in was moved behind one of the huge pedestal legs of the oak table, by someone who just wanted to get it out of the way of stretching his legs! When it went off, Hitler was sprayed with splinters from that table and had one arm that was lame for the remainder of his life, BUT he was alive. The Nazis then proceeded to hunt down and execute all of the members of Die Schwarze Kapelle, which included not only Dietrich Bonhoeffer, but Wilhelm Canaris, head of the Abwehr, the Nazi espionage organization, and also Erwin Rommel, the desert fox!) Bonhoeffer was hanged without much of any kind of trial, and became a true martyr for the faith. In my view Dietrich stands in stark contrast to so many other so-called Christian leaders in Germany and elsewhere in the Nazi empire! As part of course materials for my jurisprudence course in law school, there was a photo of the Nazi hierarchy — Goering, Himmler, Heydrich, and several others — along with the Roman prelates of Berlin and Vienna, both cardinals, giving the Nazi salute to Adolf Hitler! It is one of the most chilling pictures I have ever seen: two supposed men of God saluting a monster, an agent of Satan himself! Dietrich Bonhoeffer is more than worthy of our votes today! It was hard to decide. I finally made my decision to vote for the most recent hero of the church. I mostly just closed my eyes and the one I saw first. They are both so worthy of winning. I admire Athanasius but need to mix it up between the ancient and the recent. A clear choice between one who upheld the teachings of Christ and another who focused on the rigid proclamations made by man. No contest! Really? Is that all you think that Bonhoeffer was about? I read Onionsauce’s comments as a vote for Bonhoeffer. I’m a little worried. This is my first year and weekends LMW is hard enough. What happens to me after? Excelent suggestion! I’ll try it. Write to my boss for me? If hibernating doesn’t work, you might try Fifty Days of Fabulous, another daily devotional from Forward Movement. The tone is quite different– I mean, it has to be. It’s Easter, right? But it offers lovely essays and the opportunity to share. Worth checking out, as you wait for your Lent Madness 2016 Golden Halo winner coffee mug to arrive. Another difficult match up. I voted for Athanasius, mostly because he was mentioned in my Intro to New Testament class a few days ago. Sure it was a tangential reference while discussing the Gospel of Thomas, but still. I was all set to vote for Athanasius, figuring his theology was the basis of Bonhoeffer’s beliefs and actions, but the comments won me over to Dietrich’s side. Well, I approached this matchup using really convoluted logic, which is what the SEC wants, I reckon. Start with Bonhoeffer’s rejection of “cheap grace” and stress on “the cost of discipleship.” Who doesn’t want to hear that kind of talk? Who isn’t inspired by Bonhoeffer’s acceptance of the full cost of that discipleship, paid with his death by hanging in a prison run by the modern world’s most evil dictatorship? And to load the dice a little further, what American heart isn’t warmed by Bonhoeffer’s discovery of a more passionate faith in a Baptist church in Harlem? Ah, now for Athanasius, who comes across as an Old World religious bureaucrat who starts out as a Bishop’s secretary, gets inspired by his boss’s defense of the Incarnation as the central fact of Christian history, and takes on all comers (“Athanasius contra mundum”) to become homeless for the glory of this fact! So zealous is he that centuries later a poetic rant on the high Trinitarian view is attributed to him in much the way that any old Psalm, even those explicitly assigned to other composers, gets itself attributed to David. And so it is that the so-called “Athanasian Creed” ends up in the BCP, though successive editions have increasingly marginalized it, much to the impoverishment of our liturgy. Athanasius’ vision of faith is way broader than Bonhoeffer’s, even though the latter’s death speaks to us compelling terms, raising the question, Would I be willing to die for the faith? Since that one cannot be answered in advance (don’t judge the condemned prisoner till you find yourself in his shoes), I find myself unable to make the cheap gesture of voting for Bonhoeffer, and vote instead for Athanasius. There, the SEC has conquered! I have struggled — and read the comments — and find myself not ready to make a choice. The reference to “vote for Bonhoeffer in subsequent rounds” presumes Bonhoeffer will win this one. That subsequent vote may not be possible. And if we believe the Divine is in all persons, that includes those for whom the Trinity is not an issue one way or the other. No easy answers and no easy choices. I voted for a personal hero, Bonhoeffer. We need his example in the current days. I am voting for the cornerstone, Athanasius. I am huge fan of Bonhoeffer but I cannot overlook the significance of what Athanasius did and contributed. One thing I love about Lenten Madness is seeing the pattern of future saints showing up during troubled times and doing what God needs them to do. I look to current times and try to find the people that could be future saints. I find Bonhoeffer’s life and writings so moving that I could vote no other way. If ever Jesus walks among us he certainly did with Bonhoeffer. I have waited years for this opportunity to vote (once again) for Dietrich Bonhoeffer. With grateful thanks to the SEC for giving us another chance. Amen, Cathy…although I wish it wasn’t the same year Julian of Norwich is in the field, not to mention St. Joseph. They might have to add a Bronze Halo. Thank you to those who spoke to why the modern saints seem to be more popular than the ancient ones. You were more eloquent than I. The critques made me think about why I vote the way I do. While I have voted for some of the ancient saints, the modern ones are easier for me to try to model my life after. Both of these men are heroes to me, but I choose Athanasius for going first and setting an example for Dietrich Bonhoeffer. Both of these choices are heroes of the faith, so I had a tough choice. Like Chris, I’m choosing Athanasius because he’s a forerunner of Dietrich Bonhoeffer, whose voice is much needed in the current political climate. I too hope that Dietrich moves forward to claim the Golden Halo. Several years ago, I read Bonhoeffer: Pastor, Martyr, Prophet, Spy by Eric Metaxas. Up to that point, I didn’t know much about Dietrich Bonhoeffer. Since then, I’ve had a soft spot in my heart for him. I hope Bonhoeffer wins the Golden Halo. He deserves it. Both are so inspiring– I went with DB, though. I wonder if at the end of Lent Madness the SEC would be able to compile a “for further reading (and viewing and listening)” list based on the suggestions in the comments and blog posts. It might really help with LMW, too. My closest friend in graduate school had taken the monastic name of Dietrich in honor of Bonhoeffer. He introduced me to Bonhoeffer, who is an inspiration. And while Athanasius was a great defender of orthodoxy, that seems less vital than Bonhoeffer’s ministry and resistance. So, while I almost always vote for the earlier saint in such matchups, my vote honors both Bonhoeffer’s witness, and the memory of my dear friend Brother Dietrich. I have to go with Bonhoeffer, a modern day saint and martyr for the faith. I had relatives that fought on both sides of WWII, cousins vs cousins. I am proud that someone like Bonhoeffer was able to stand up to the evil that was happening at that time. Faith put into practice. We need more modern day examples like him to strengthen the church. I went with Athanasius, as he made Bonhoeffer’s faith and writings possible. I will always vote for St. Athanasius, the who defended and upheld of our True Faith, even when what seemed like the entire world was against him. I peeked at the results so far and saw that Bonhoeffer, (a true man of God if there ever was one, and one to emulate for sure,) is far ahead, so I cast my vote for Athanasius. Every day of the week I repeat one creed or another, but both affirm that which Athanasius fought so hard for. In a way, it fits in with my favorite verse Psalm 19:14. It is the words of my mouth that precede my actions. The words matter. 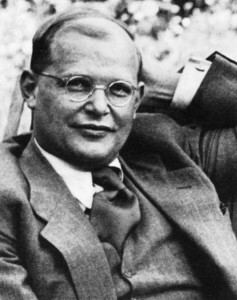 Bonhoeffer was martyred in what today would be considered his youth, even if 39 was considered middle-aged in the 1940s. He was martyred by a Nazi system that was a unique and unparalleled manifestation of absolute evil. Athanasius’ contribution was to ensure the survival of Christianity down the centuries. While both Judaism and Islam were able to combine radical monotheism with a meaningful belief in a compassionate God, Christian attempts at radical monotheism have failed, leading either to a God so transcendent as to be uncaring or a god so immanent as to be not much of anything. The Christian notion of God-as-Trinity has given us a belief in a God who is Love at the core of God’s very nature. For the promotion of this notion (and for rescuing Christianity from becoming an historical footnote), we can thank Athanasius. Because Bonhoeffer did not have the opportunity to write a systematic theology. Different groups of Christians find different books by Bonhoeffer more appealing than others. (1) Conservative Christians, who have problems with the notion of grace in any event, like the Bonhoeffer of “The Cost of Discipleship”, with his warnings about “cheap grace”. (2) “Progressives” looking for a minimalist Christianity warm to the Bonhoeffer of the “Letters and Papers from Prison” with his musings about “religionless Christianity” and “a world come of age”. (3) Those of us who like to explore the ongoing relevance of ancient Christian practices relate well to the Bonhoeffer of “Life Together”. Truly, there’s a Bonhoeffer for almost everyone. Of course, Bonhoeffer has laboured under the handicap of his two recent biographies, the boring one by Eric Metaxas and the gossipy one by Charles Marsh, but nevertheless I assumed, before voting, that Bonhoeffer was the front-runner on this one. Athanasius looks a bit like a Gloomy Gus to me. Love the creed, but Dietrich is one of those rare modern Christians that acts like one. Kierkegaard would have approved. This was very difficult! Without Athanasius Bonhoeffer would not have had the faith he died for. But I finally voted for Bonhoeffer who seems to have “channeled ” the faithful and courageous spirit of Athanasius in the 20th century. What a difficult decision. Both are worthy of a golden halo. Expecting Athanasius to be behind, he won my vote. Our modern world gives us so few persons of abiding faith who are willing to risk all for the truth. Bonhoeffer is such a person. I voted for Athanasius because he just never gave up. My mum wanted to vote for Bonhoeffer because he lived out his faith with such love, and in such a short time, but Mum said I could choose. Bonhoeffer has no faith to stand on without Athanasius. “A” always comes before “B”. I have Athanasius penciled in as my personal choice for the Golden Halo this year, but I knew he would be a very long shot having observed LM voters tendencies. This Doctor of the Church is arguably the most important theologian in the history of Christianity. Any of us who believe what we say in the Nicene Creed owe something to Athanasius. He stood up to the imperial powers of his day and suffered for it. He befriended the earliest monks and advocated for forms of counter-cultural resistance to Constantinian state religion. In a time and place when heresies are rampant within Christianity (I’m thinking of both liberal and conservative American Christianity in particular), we need Athanasius’s model. Of course, we also need Bonhoeffer’s model. The Cost of Discipleship and On the Incarnation are both essential Christian reading. Bonhoeffer, thought provoking theological writing and at the last he had to endure imprisonment and death but for most of his life he was a spoiled “kid”, dependent on his parents and other family members, even his friends. He almost required his friends and students to admire him. So I guess in voting for Athanasius, I was voting against Bonhoeffer, een though I am a staunch Lutheran. As “spoiled” as Bonhoeffer may have been ( he grew up in a family of non-practicing “Lutherans), none the less he was drawn to theology and ultimately to true faith. We will never know what he may have devloped into as a “confessing” Christian, since his life was cut short by an evil regime. I always find it interesting that God is a God of paradox, often using the least of us (the spoiled included) to have a profound impact on the world. God seems to prefer using flawed human beings to have a major impact in the world. In the untimely death of Bonhoeffer, God chose this flawed human being to have a profound affect on Christian faith. I probably should have voted for Athanasius: after all, without his persistence we would probably all be groaning and marveling to find ourselves Arian. And his “Life of Antony” is a key writing for the history of monasticism. But I had to go with Dietrich, that wonderful theologian, ethicist, ecumenist, reformer of the church, lover of music and martyr, who dared to stand in the name of Christ and at the cost of his life against the most horrible and monstrous tyranny and aberration of our own day. The Golden Halo would be well worn by both of these Christian brothers. This was a tough matchup- I could have voted for either saint under different conditions. But Bonhoeffer takes the day. His witness inspires and uplifts, an example of triumph over the tragedy of Nazi era Germany. Athanasius — I’ll just say it right here–no Athanasius then there would be no Bonhoeffer. So I have to lean towards the former theologian. On the other hand, a difficult match up —remember, although Bonhoeffer didn’t write the Barman Declaration, there was the heresy of German theology at his time that bears some similarities to the heresies of Athanasius’s time. Much to consider here.